The Bay Area's acclaimed eight-man classical a cappella ensemble, including local countertenor Christopher Fritzsche, performs music from the new CD, Night Draws Near. This rich exploration of life, death, and mysticism features music you already love, coupled with music you don't know you love...yet. The concert includes celebrations of Halloween, All Soul's Day, and El Dia de los Muertos, with music by Victoria, Tavener, Vaughan Williams, Finzi, Rautavaara, and Paul Crabtree. 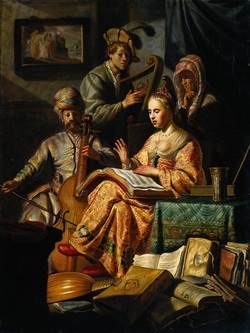 Circa 1600, our new vocal ensemble, joins with a continuo section to focus upon this great master of the early German Baroque, drawing from three publications: The Italian Madrigals (1611), in which he 26-year-old master takes on the Italian language and polyphonic style (with spectacular results); the Geistliche Chormusik (1648), featuring many of Schütz' most inventive and beloved motets including the great Selig sind die Toten; and the Schwanengesang (1671), from which we will perform the brilliant 8-voice German Magnificat. Santa Rosa Symphony music director Bruno Ferrandis leads a thoughtful program of French compostions, including the luminous and uplifting Requiem in D minor of Gabriel Faure; Francis Poulenc's brilliant Gloria in excelsis Deo; and a world premiere of French composer Aubert Lemeland's elegiac song cycle Battle Pieces, based upon World War II poetry by American soldiers. _ When Bach moved to Leipzig in 1723, he embarked upon a project which became legend: the composition of five annual cycles of cantatas and other special music for the church year. We present four cantatas drawn from his first several cycles, including pieces for the First Sunday of Advent, Christmas Day, New Year's Day, and Epiphany. Come join us for this alternate 'Christmas Oratorio,' featuring virtuosic horns and oboes and a stellar lineup of vocal soloists! Generously underwritten by the Donald and Maureen Green Foundation. Agave Baroque's Cold Genius centers around the intensely engaging music of Henry Purcell. 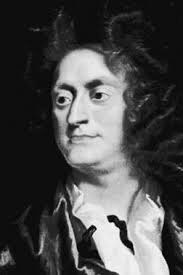 Parts I and II are all-Purcell, and feature fantasia, sonata, song, and drama. Part III features two enchanting and rarely performed Harp Consorts by William Lawes, a ravishing suite by Matthew Locke, and two rustic and virtuosic arias by Nicola Matteis. Featuring Aaron Westman (baroque violin), Shirley Hunt (viola da gamba), JungHae Kim (harpsichord), and Kevin Cooper (baroque guitar). Keyboardist extraordinaire Charles Rus joins with gambist Shirley Hunt and longtime Sonoma Bach favorite Christopher Fritzsche to present a fascinating recital of northern European Baroque music. Charles will play both an Italian harpsichord and our Klop positiv organ. Composers featured include Michael Praetorius, Sweelinck, Schein, Scheidt, Bruhns, Buxtehude and JS Bach. Circa 1600 joins forces with the Monteverdi Consort, a one-on-a-part vocal ensemble, to present an all-Spanish program. In the first half, we explore the mystical Marian music of Cristobal de Morales, including the Missa de Beata Virgine, the Magnificat Quinti Toni, and a selection of motets. The second half of the concert features the charming ensaladas of Mateo Flecha the Elder, including La Bomba and El Fuego. Each piece begins with a disaster, including much onomatopoeic chaos and confusion; prayers are made to the Virgin Mary; the prayers are answered with rescue; thanks are rendered; and a celebration ensues, complete with music and dancing. The great 8-part Ave Maria of Francisco Guerrero closes the concert. 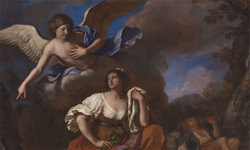 During the latter years of the 16th-century, the Ferrarese poet and playwright Giovanni Battista Guarini created, revised and finally published his play, Il Pastor Fido, destind o become a treasure trove of verse for the Italian Madrigalists. The Monteverdi Consort performs stunning settings of many of the most famous passages from Il Pastor Fido, as well as other Guarini poems, most on the subject of love (the good, the bad, and the downright ugly). Composers include Marenzio, Wert, Pallavicino, D'India, Gesualdo and (naturally) Claudio Monteverdi. In 1640, near the end of his long life, Monteverdi issued a monumental publication o sacred music, entitled Selva morale e spirituale. In this concert, Circa 1600 and a small instrumental ensemble featuring violins and continuo will take you on a walk through this spectacular 'moral and spiritual forest,'touching upon each of the categories represented: spiritual madrigal, mass, psalm, hymn, antiphon and Magnificat. The effect is of a musical portfolio, 'Monteverdi on sacred music': Prima and seconda prattica, grand and intimate, extroverted and inward, a panoramic view of a composer's spiritual journey. 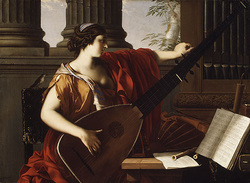 In Ferrara at the dawn of the 17th-century, the famous virtuosic ladies of the concerto delle donne stunned the court and visitors with gorgeous voices and spectacular interpretations. We offer our own virtuosic 'concertino', Carol Menke and Jenni Samuelson, accompanied by violins and continuo, in an all-Monteverdi program featuring both sacred and secular arias and duets, along with canzonette and instrumental numbers from Monteverdi's operas, and closing with the famous and beloved Zefiro torna. Don't miss this special opportunity to experience a concert in the new Green Music Center Concert Hall...including a special cameo appearance by the Sonoma Bach Choir in celebration of Don Green's birthday.